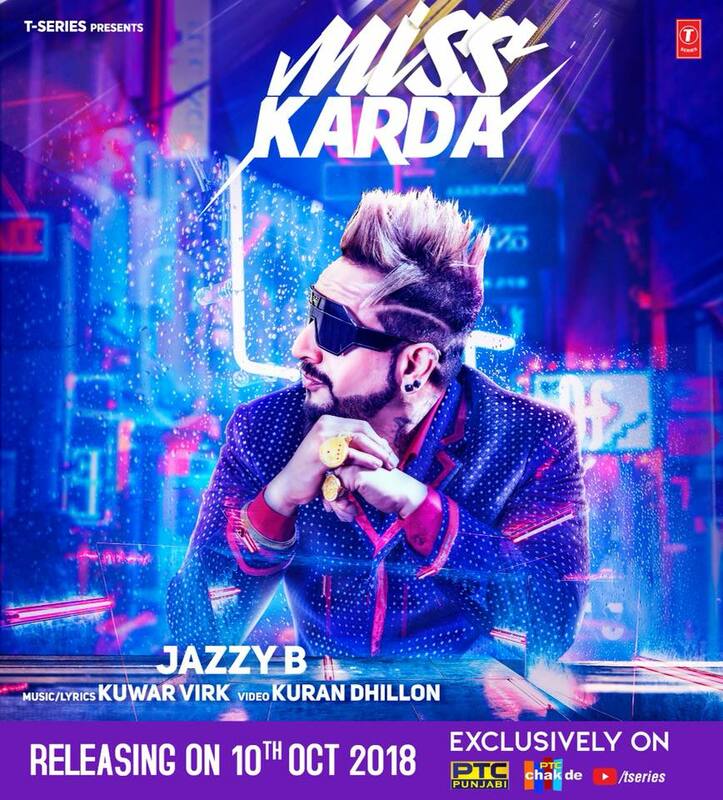 Miss Karda Lyrics - Jazzy B, Crown Prince of Bhangra Jazzy Bains aka Jazzy B is back with his latest single track Miss Karda. Song is written, composed by Kuwar Virk. Crown Prince of Bhangra Jazzy Bains aka Jazzy B is back with his latest single track Miss Karda. Song is written, composed by Kuwar Virk while the music video of the song is shot and directed by Kuran Dhillon. Miss Karda is 3rd single track released by Jazzy B this year followed by One Million and 90 Di Bandook. This is the first collaboration between Jazzy and Kuwar Virk. Kuwar Virk is a Delhi based music producer, lyricist and Rapper who has given tracks like Kangna (Preet Harpal) and Suit Tera Kala Kala (Kamal Khan) to name a few in the past.